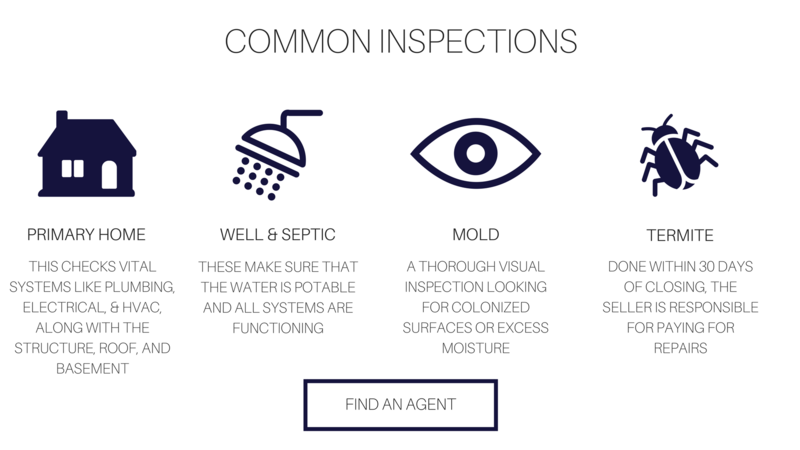 The home inspection process is smooth sailing with the right agent on your side. The inspection is inevitable, so its a good idea be proactive and make repairs before it even starts. Our agents go through this with every property, so we know local codes to give you tips before the process starts. And once it happens we help negotiate the price based on the outcome. The buyer has the right to determine the condition of the property by subjecting it to a wide range of inspections including primary home inspections, well & septic inspections, mold, termite, and radon inspections. Depending on the results, we can renegotiate terms. Ready To Sell? 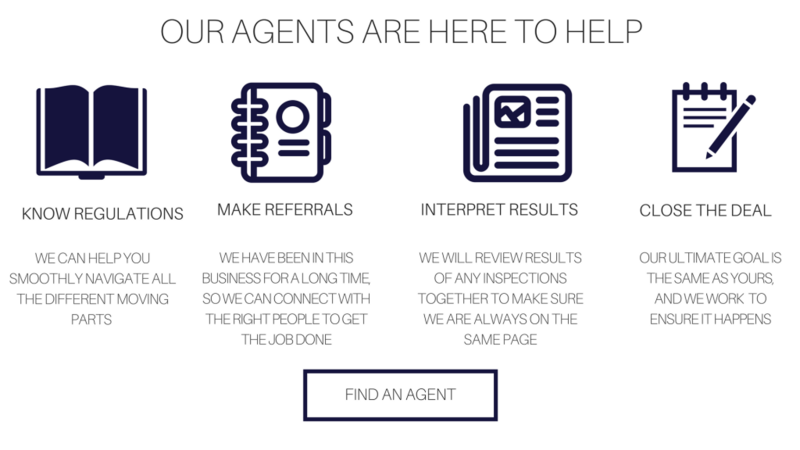 Get in touch with an agent today.